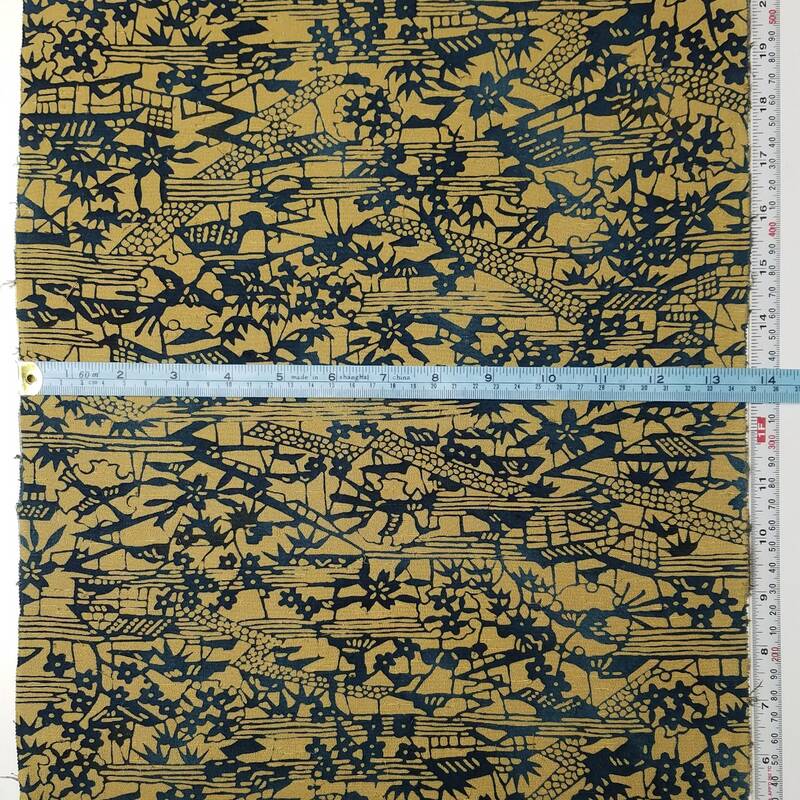 This listing is for 1 yard and 27 inches ( 63 inches or 160 cm) of fabric. The fabric is a continuous piece. 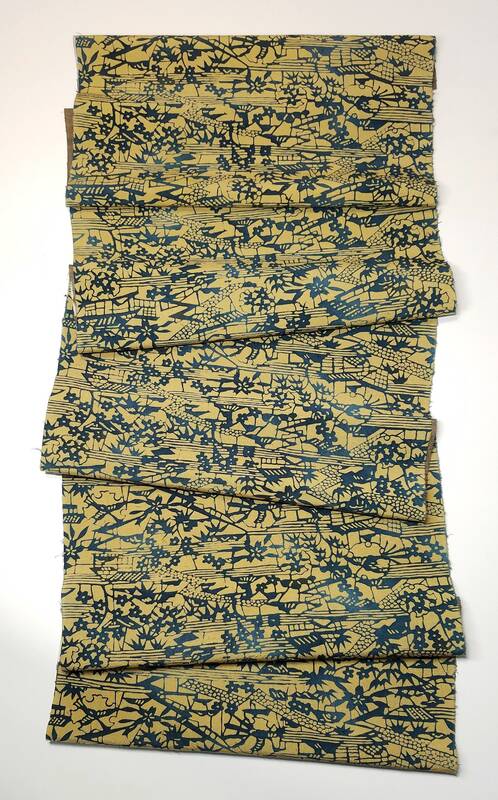 This beautiful, tsumugi pongee fabric was once part of a kimono. It is in excellent condition and I do not see any stains or holes. There are a few spots that were created during the dying process. Please read the description to learn about these spots. 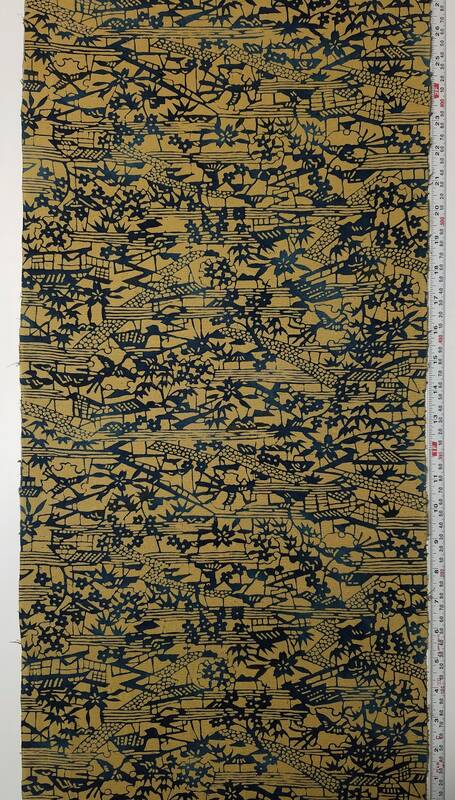 This fabric would make an amazing scarf, quilt, pillow case or skirt. It can be used for apparel but please remember that kimono fabric is not as wide as other fabrics. 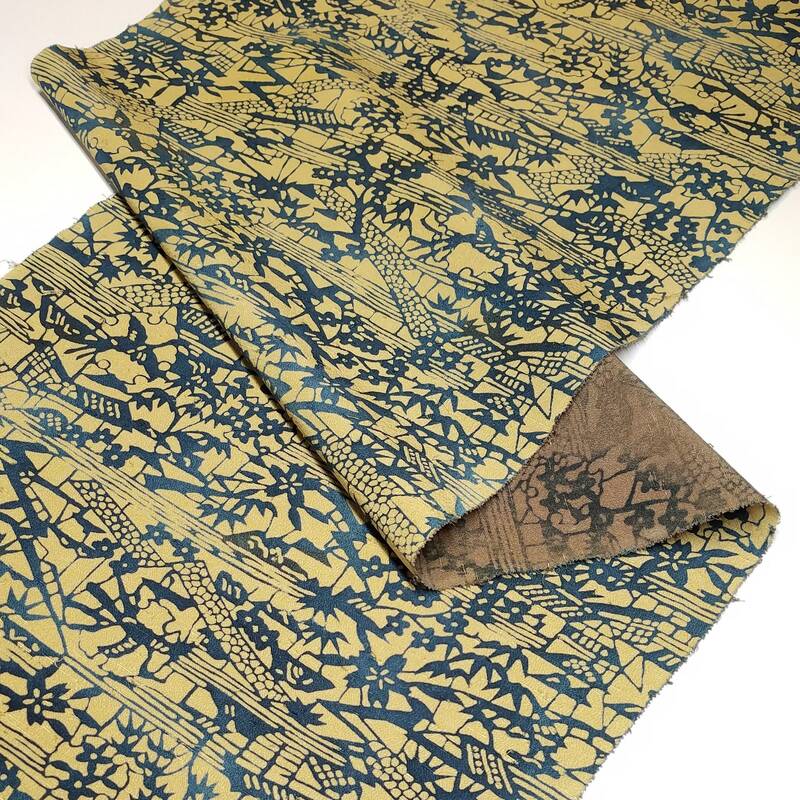 This tsumugi silk has a dyed pattern of sakura (cherry blossoms), houses, bamboo, birds and other foliage and flower designs over a golden brown hued background. The dyed pattern has a blue-green hue. Please note that the pattern is not a consistent color but it varies from a lighter turquoise blue to a deep blue-brown color. The intensity of the dyed areas also vary. The last photo shows the colors most accurately. 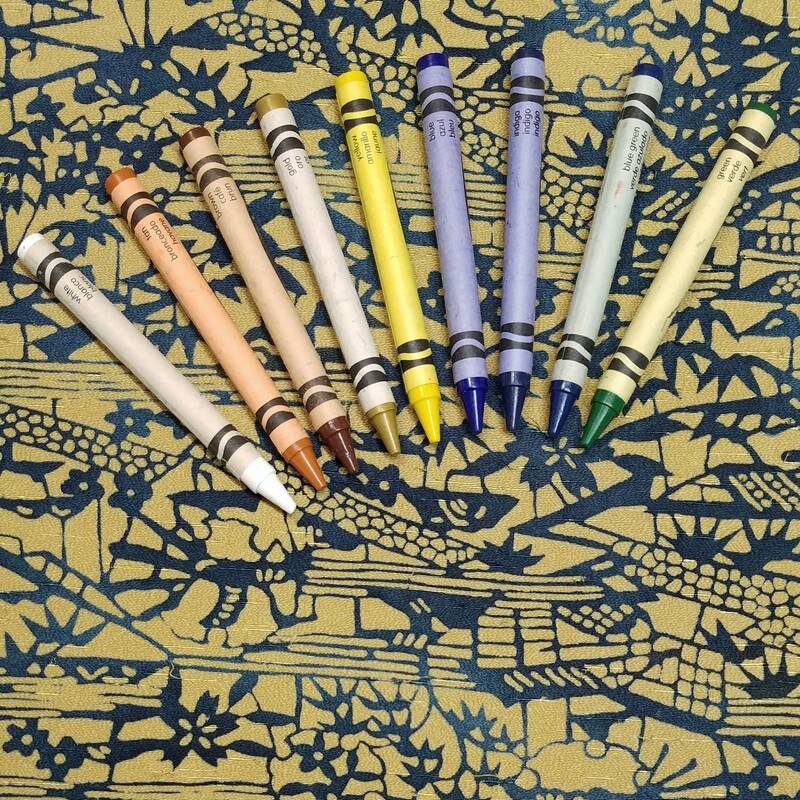 Crayola brand crayons were place in the photo for color comparison. 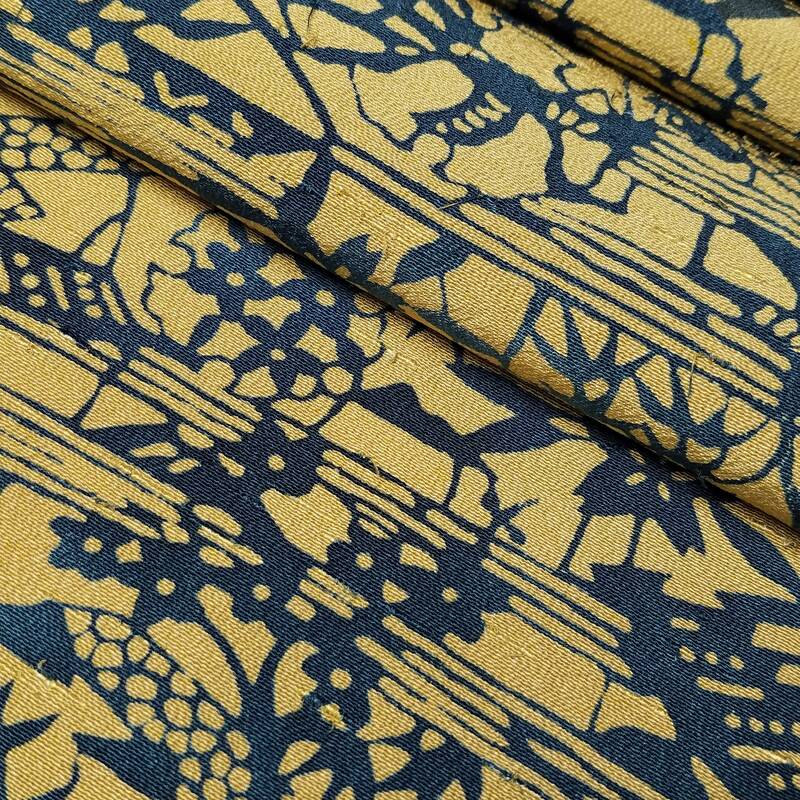 This fabric was dyed using a stencil dyeing technique (katazome). 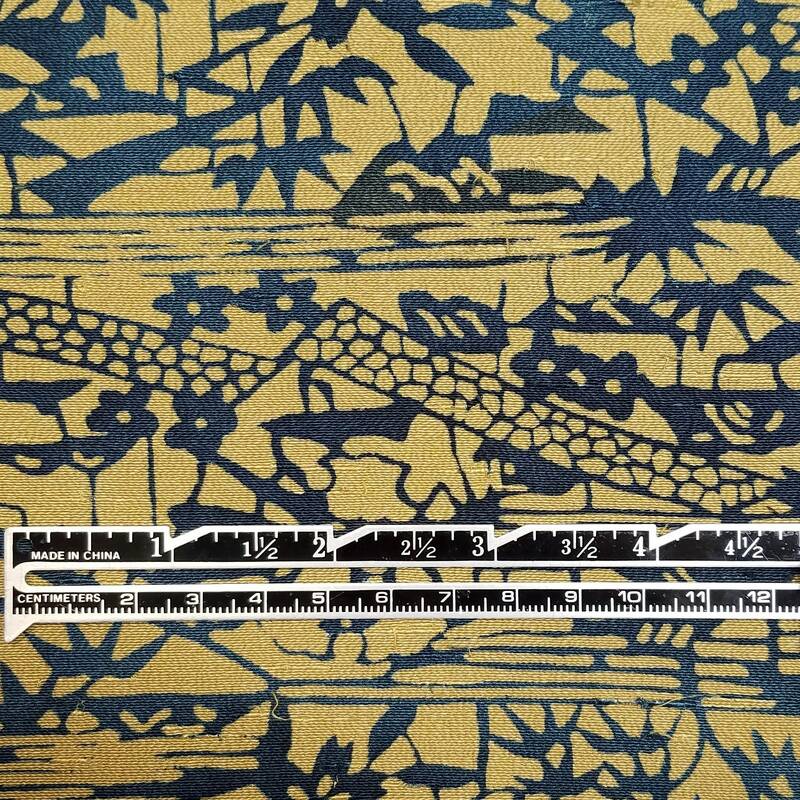 Katazome employs the use of a stencil and rice-paste resist. 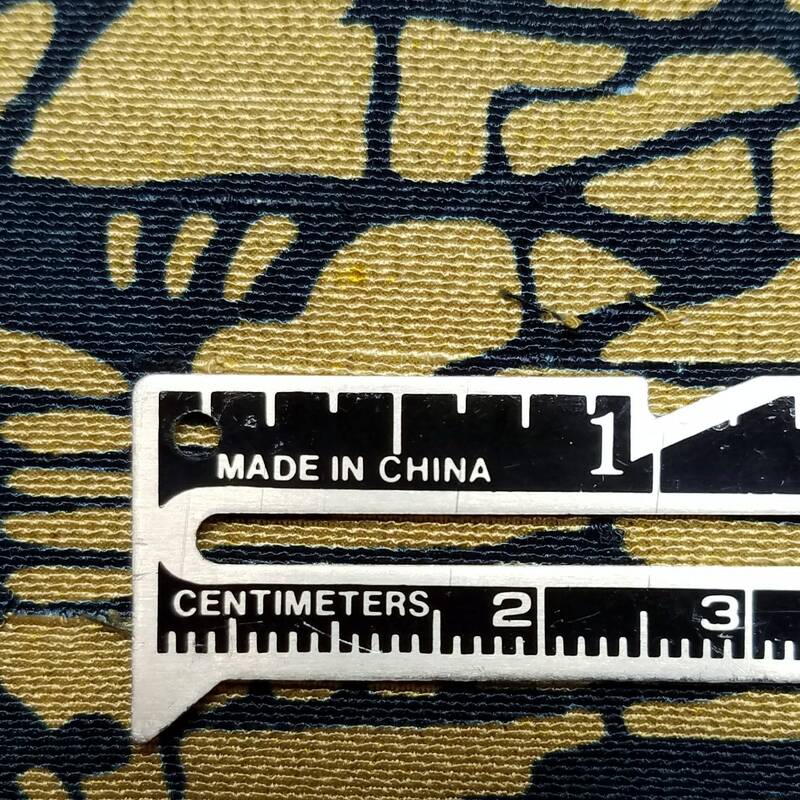 This technique can produce very fine designs with crisp edges. 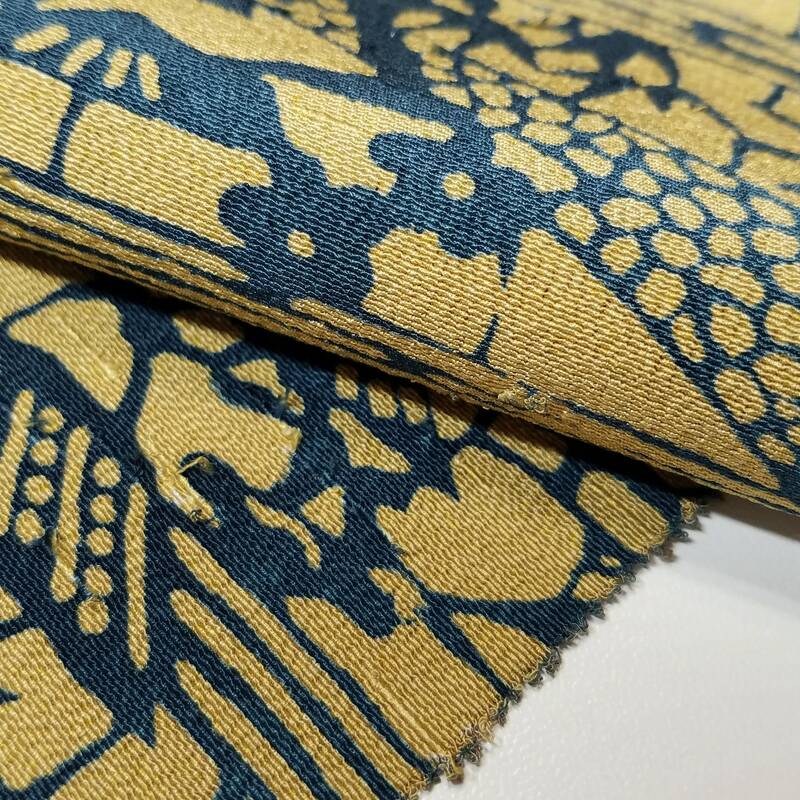 Typical of tsumugi, this fabric is textured and has slubbing. The slubbing gives the fabric a wonderful "bumpy" texture. Tsumugi is created out of "waste silk". 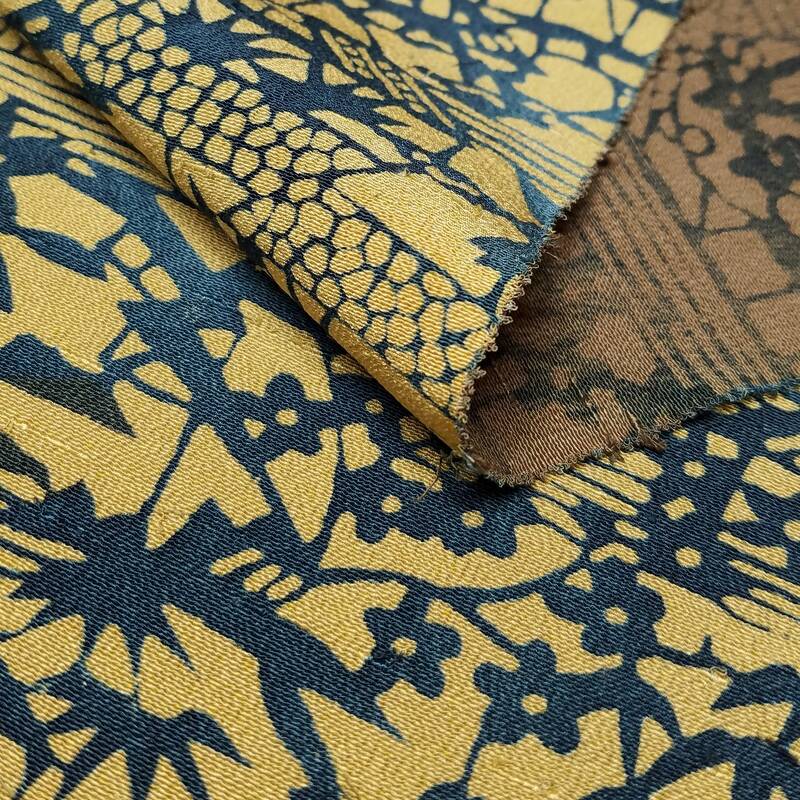 This "waste silk" creates the slubbing and texture that is associated with tsumugi. Since this tsumugi was sewn into a kimono form it is less crisp than unused tsumugi silk and has a nice, fluid, drape with a "cotton-like" feel. Tsumugi resists wrinkles and has a subtle sheen.